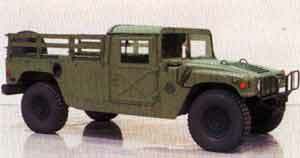 The M1097 and M1097A1 HMMWVs are higher payload capacity cargo/troop carrier configurations of the HMMWV family. 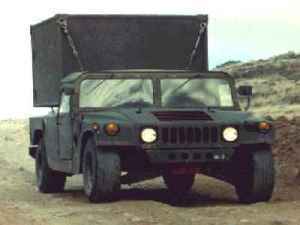 The vehicles are equipped with basic armor and used to transport equipment, materials, and/or personnel, like the M998/M1038 series, except with a higher payload capacity. The M1097, M1097A1, M1097A2 and M1123 heavy variant cargo/troop carriers are used to transport equipment, materials, and/or personnel. The heavy variant troop carrier is capable of transporting a two-man crew and eight passengers. The heavy variant cargo carrier is capable of transporting a payload (including crew) of 4,400 pounds (1,998 kilograms). 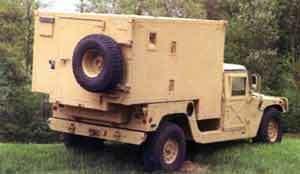 The M1097, M1097A1, M1097A2 use a troop seat kit for troop transport operations, a 200 ampere umbilical power cable to power shelter equipment, and stowage racks for ammunition and equipment. To accommodate the higher payload capacity, the vehicles are equipped with a re-inforced frame, crossmembers, lifting shackles, heavy duty rear springs, shock absorbers, reinforced control arms, heavy duty tires and rims, and a transfer case and differential with modified gear ratio. 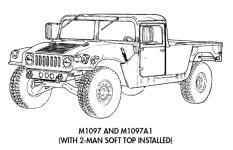 The M1097, M1097A1, and M1097A2 and M1123 are specifically designed to accommodate a higher payload capacity. The M1097A2 models have new bumpers, which make the vehicles slightly longer. A 9,000 lb winch is also available for the M1097A2 models as an option. The vehicles can climb 60% slopes and traverse a side slope of up to 40% fully loaded. The vehicles can ford hard bottom water crossing up to 30 inches without a deep water fording kit and up to 60 inches with the kit. The M1097A1 is equipped with the self-recovery winch which can also be used to recover like systems and has the latest modifications applied to the vehicle. 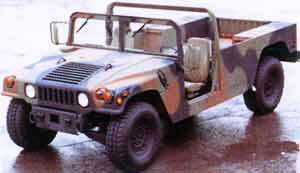 On July 3, 1996 O'Gara-Hess & Eisenhardt Armoring Company*, Fairfield, Ohio, was awarded a $6,948,101 modification to a firm fixed price contract for the armoring of 180 High Mobility Multi-Wheeled Vehicles (HMMWV) M1097, for deployment to Bosnia. Kits are built and retrofit installed on existing vehicles. Work will be performed in Fairfield, Ohio (96%) and Germersheim, Germany (4%), and is expected to be completed by July 19, 1996. Of the total contract funds, $4,616,000 will expire at the end of the current fiscal year. This is a sole source contract initiated on December 8, 1995. Even though the M119A1 can be pulled with any number of vehicles manufactured throughout the world, the U.S. Army uses the tough, reliable, and combat proven High Mobility Multi-purpose Wheeled Vehicle (HMMWV).